Geometry was at the core for understanding a wide range of scientific issues in the early modern period. 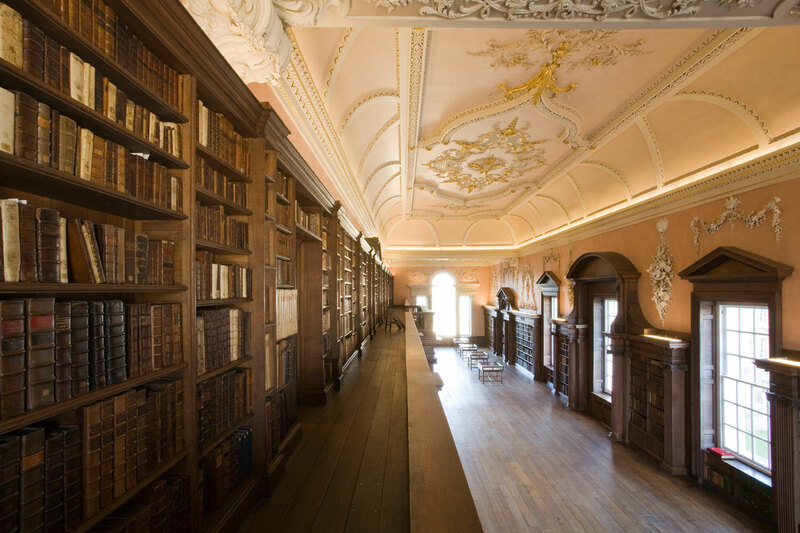 Christ Church Library houses spectacular collections of early printed books, manuscripts and instruments focused on mathematics and astronomy. 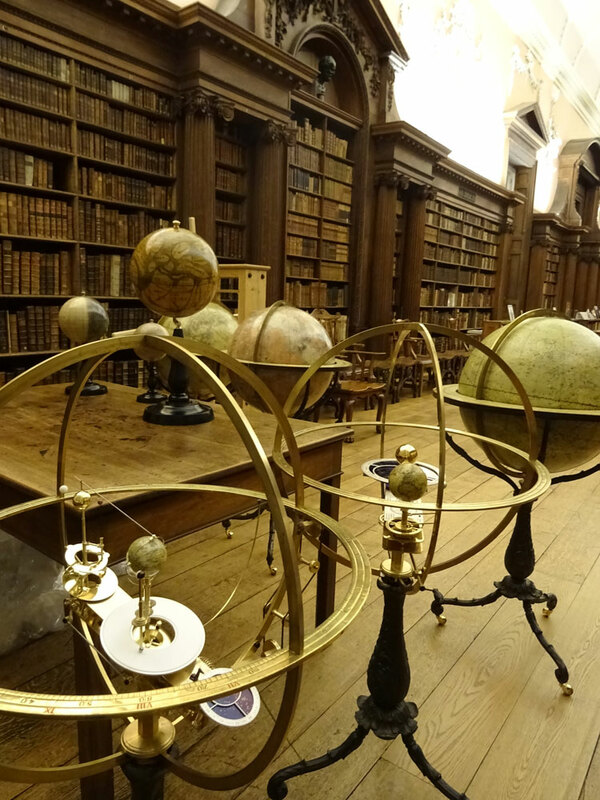 The library and scientific tools of polymath Charles Boyle, 4th Earl of Orrery, bequeathed to the institution in 1731, is the largest and best known of these. However, equally important at least, are a respectable number of little studied manuscripts by early modern Oxford mathematicians, such as David Gregory and Charles Scarborough, and an impressive number of intensely annotated rare editions of fundamental treatises on geometry and the study of perspective scattered among the Orrery and other Christ Church collections. With the new translations of Euclid into Latin starting in the 12th century, theoretical geometry entered the university curriculum and from that moment on, the religious and speculative dimensions of this discipline have never ceased to attract mathematicians, philosophers and artists alike. Geometrical proportion and symmetry allowed a glimpse into the realm of transcendental beauty, while phenomena of vision were approached using the points, lines, shapes and other data of geometry to elicit mental constructions. Whether sculpting a statue, painting a picture, designing a building, or navigating the skies or the seas, visual information became encoded into a variety of geometrically organised graphs, grids and matrices. During the early modern period, several remarkable generations of scientists, artists, humanists, engineers and craftsmen started looking at the world in a new way, converting perceived reality into mathematical space. 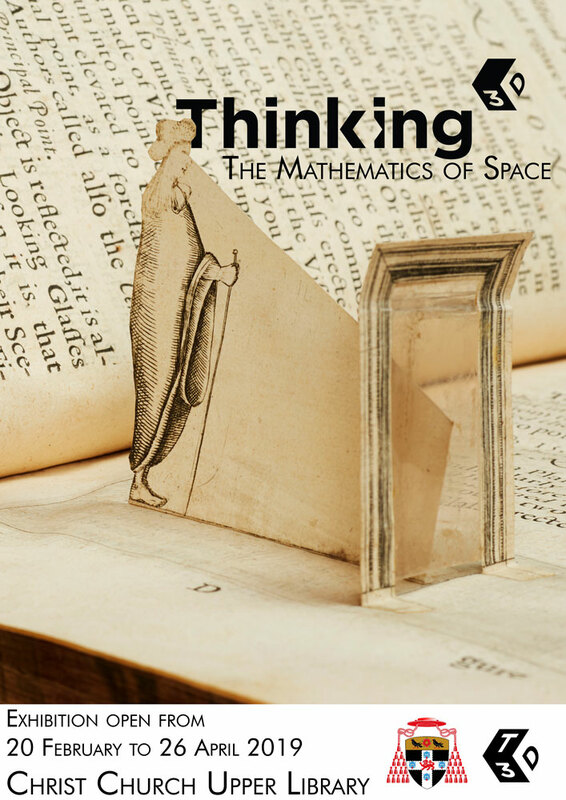 The Mathematics of Space at Christ Church is part of the Thinking 3D series of events organised in 2018-2019. This is a project focused on the development of techniques and technologies used to communicate three-dimensional forms in two-dimensional media. In this context, starting with the Renaisssance, thinking about vision involved more than applying Eucliden rules to fixed objects and spaces. In art, to quote Leon Battista Alberti, this translated into a new, somewhat mesmerising, ‘logic of likeness’, which, in turn, developed into the study of perspective, an exciting novel technique for processing visual information by means of geometric construction. Treated this way, three-dimensional forms appeared to represent natural objects far more realistically than had any previous depictions, and yet, they did so by creating illusions of reality. Such technical manipulations involved a great deal of deception, but also contributed to the technology of relational numeracy and analysis woven deep into the fabric of astronomy. 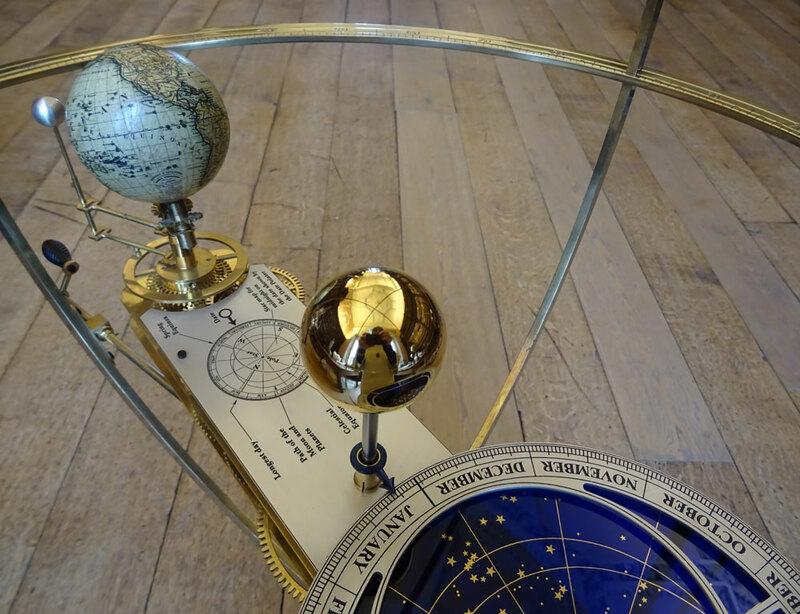 This exhibition, curated by Dr Cristina Neagu, aims to highlight the role of the college in teaching geometry and astronomy at Oxford during the 17th and 18th centuries. 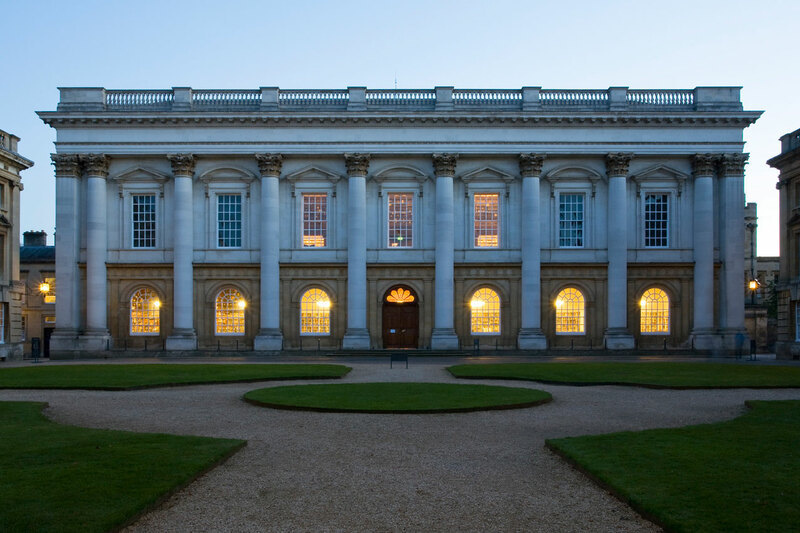 Thematically, it will mainly focus on exploring the impact of Euclid, Archimedes, Serenus and Pappus of Alexandria on both art and early modern geometry. Also on show in the Upper Library will be treatises on the study of perspective by Luca Pacioli, Jean François Nicéron, Joseph Moxon and Albrecht Dürer, as well as manuscripts by early modern mathematicians like David Gregory, Charles Scarborough, Willebrord Snell, Nicolas Mercator and Edmund Halley. On display will also be a pair of heliocentric and ptolemaic orreries and a spectacular set of terrestrial and celestial globes, and globes of the Moon, Mercury, Venus and Mars, glossing on how the skies were perceived and mapped, and how much developments in the geometry of vision contributed to make this possible. The exhibition will be open in the Upper Library from 20 February to 26 April 2019. Visiting hours: Monday-Friday 10.00am-1.00pm; 2.00pm-4.30pm. For more information see also here. © 2019 Thinking 3D - University of St Andrews.